I mean, we've become good friends, so it might get complicated if I officially work for you. Katrina: I just made Senior Partner. Katrina: It's official. And as my first act: Brian Simon Altman, will you be my associate? Brian: Katrina, I'm honored, but before I answer, are you sure the two of us working so closely together is a good idea? Brian: I mean, we've become good friends, so it might get complicated if I officially work for you. 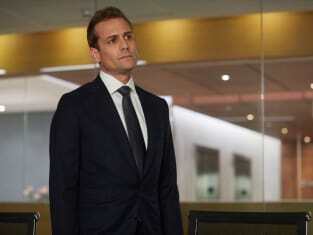 Suits Season 8 Episode 9: "Motion to Delay"
Permalink: I mean, we've become good friends, so it might get complicated if I officially work for you. Tommy: Why the hell would Frank Gallo cooperate with you if it meant admitting to murder? Robert: What the hell are you getting at, Tommy? Tommy: You and this firm offered Frank Gallo money for his daughter in exchange for him fabricating testimony used to leverage me. Now I'm here to make you pay.